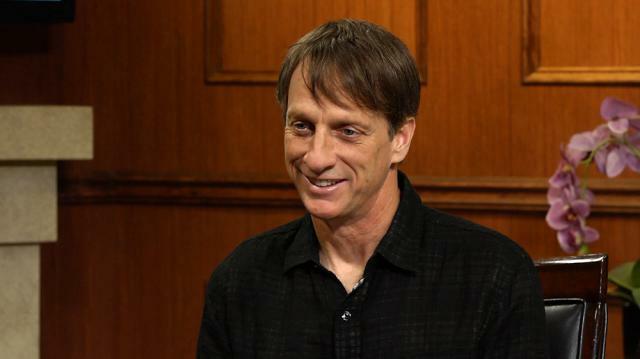 Tony Hawk reveals to Larry what he thinks he'd be doing professionally had he not found success in the world of skateboarding. Larry King: Now, if not skating, what do you think you'd be doing? Because you're so associated with this one sport. Tony Hawk: Right. Um, I was always really into technology as a kid, and electronics. And I think I would have gotten into some sort of video production. Because I still love doing that. I dabble in it. I do my own social media, so I put together my own videos for that. And stuff with my kids, that's always been a passion. Larry King: You expanded into an empire of sorts, right? With videos and all the things. You're in businesses with this. Tony Hawk: Yeah. With, obviously skateboard brand, clothing, video games, and the YouTube channel. I never thought I'd be a brand. I mean, when I started skating it just wasn't a popular thing to do. There was no future in, there was no future you could look to or career to have.